A lot of exciting things are happening now and it’s hard to find the time for everything. Today I’m going to Oslo, Norway to speak at a low carb conference. 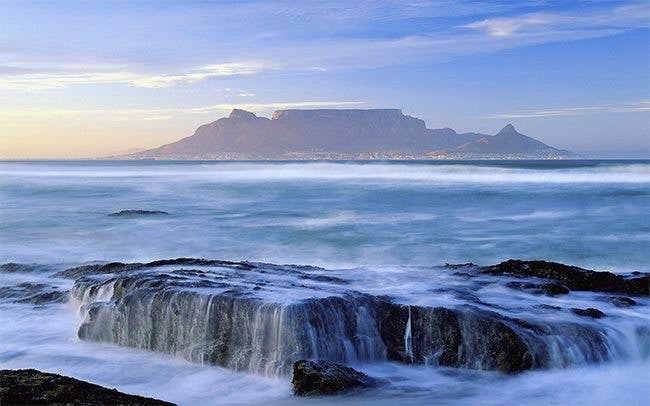 Tomorrow I’m flying to Cape Town, South Africa. Me and another Swede, Monique Forslund (LCHF author and born in South Africa), are going to lecture on low carb. We’ll present and debate at the Sports Science Institute, invited by professor Tim Noakes who initiated the event. Noakes is a legendary sports scientist (and a demigod in South Africa I hear) who’s realized the benefits of a low carb lifestyle. After improving his own health and reading all of the new low carb science he has completely changed his diet recommendations for athletes. He’s started a low carb fever in South Africa that rivals the popularity in Sweden. We’ll also do another public lecture in Cape Town, among other things. Should be an interesting week! Even apart from all of the above these are exciting times. There are big long-term plans for this site. Will you be doing a video interview with Tim Noakes to add to your collection? He seems like a really interesting guy. Tim Noakes is my hero! I have started a LowCarbClubZA page on Facebook, doing lowcarb pre mixes for muffins, bread and porridge. Wheat Free, Gluten Fee and Sugar Free. I am so sorry to miss this event, but am 1200 km away from Cape Town, in Johannesburg. Go for it Diet Doctor. There are still so may sleeping fatties doing low cal low fat in this country! Enjoy the visit to our country. you have been spicing up curiosity keeping on in saying that there will be exciting things to come..
Another country receptive to the LCHF idea. That's truly wonderful. Word is spreading. I am so sad the debate is sold out! You mention another public lecture in Cape Town, any information on when and where it will be held? Thanks so much. I am South African and I love Tim Noakes!!! Heard him talk on Jan 31 and changed to lowcarb-highfat the next day....thanks prof Noakes! That's fantastic! Can't wait for the revolution to get here to Australia. Hi, went to the Tim Noakes debate at Sports Science last night! I am totally confused..I am currently with a dietician who advocates that firstly Tim Noakes is very irrisponsible with his views on his high protein/fat diet, secondly eat 6/8 carbs a day to keep your blood sugars consistant, 5 proteins a day each portion the size of a match box,(who wants to eat half a chicken breast at a time) butter is high in fat and we must rather rather eat margarine! !Must have 3 fruits a day!! I felt that whilst Tim, Monique and Andreas made sense and had a backed up argument I felt very strongly that the Nutritional Professor from UCT spoke as an academic and squirted around the issues!